Manages courses, lesson and the documents. Is there a better alternative to Lezioni? Is Lezioni really the best app in Miscellaneous category? Will Lezioni work good on macOS 10.13.4? 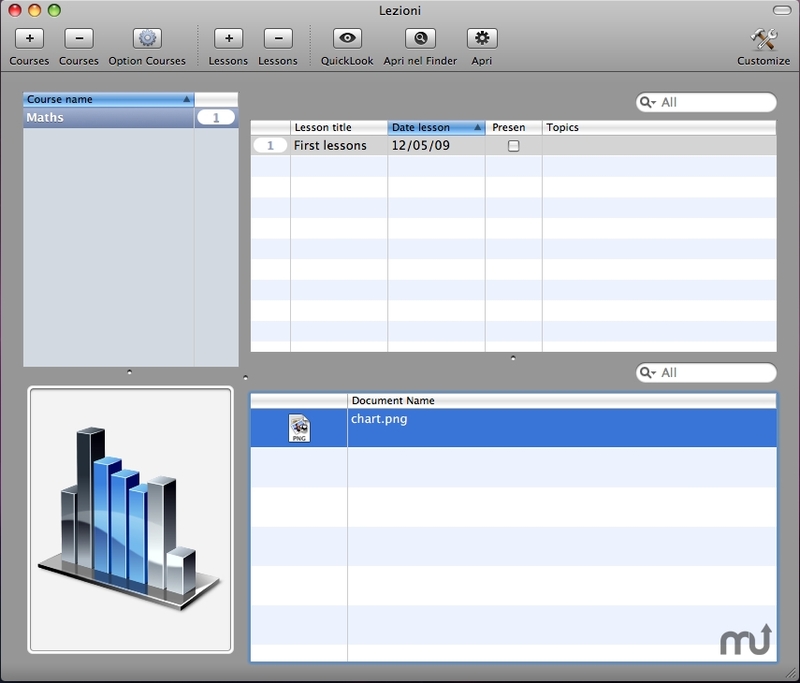 Lezioni allows you to Manages courses, lesson and the documents. These can be added simply by dragging them on the table. Well structured program allows you to view files in an easy, convenient and fast mode thanks to QuickLook feature. The possibility to disable the preview of documents. Lezioni needs a review. Be the first to review this app and get the discussion started! Lezioni needs a rating. Be the first to rate this app and get the discussion started!